With those words the Gyalwang Karmapa marked the day of the memorial service for His Majesty the late King of Thailand Bhumibol Adulyadej. 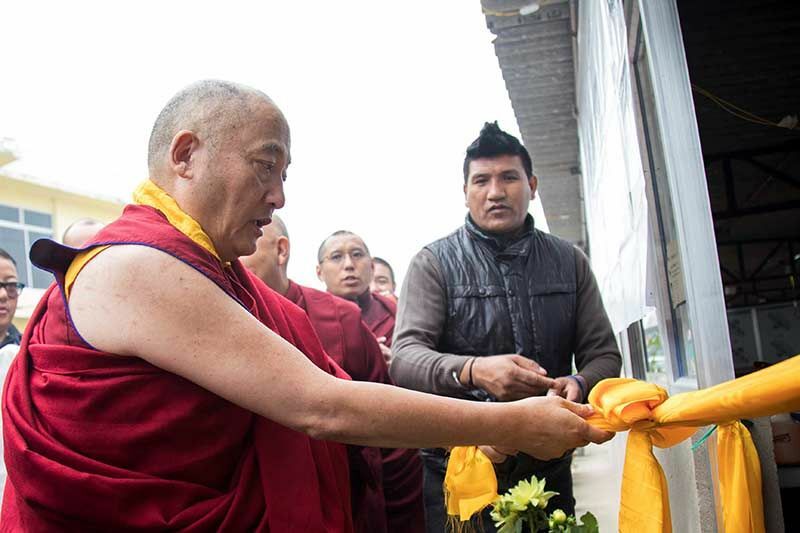 Prior to this unique event, meant to embody the unity of the sanghas, His Holiness had, as a true protector of beings would, with great diligence and kindness, personally tended to every detail. 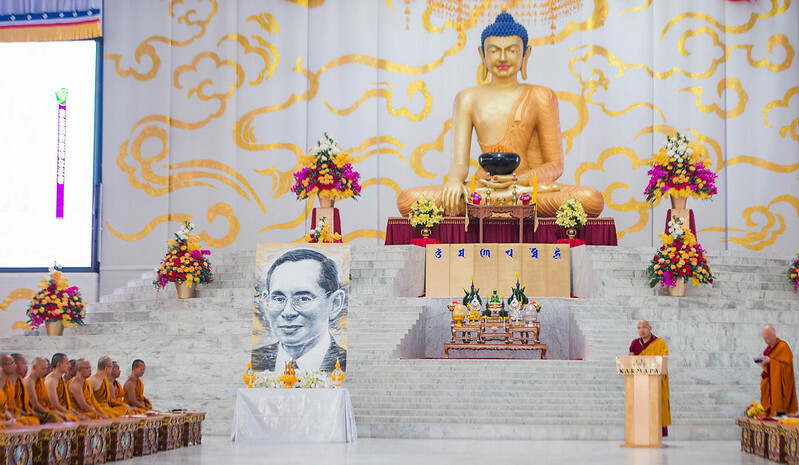 In efforts to accommodate the proper customs of Thailand, he collaborated with the Thai sangha and created the elegant setting: on the stage, at the far end of the corridor between the monks’ benches and below the pyramidal tiers of the stage, gold and silver ritual implements were placed in front of a translucent jade statue of the Buddha and a painted portrait of His Majesty. In perfect serenity typical of Thai monastic and forest traditions, monks from the Thai Temple accompanied by Thai devotees arrived. They sat on the left of the stage. Facing them, the Gyalwang Karmapa, rinpoches and tulkus were seated on the right. 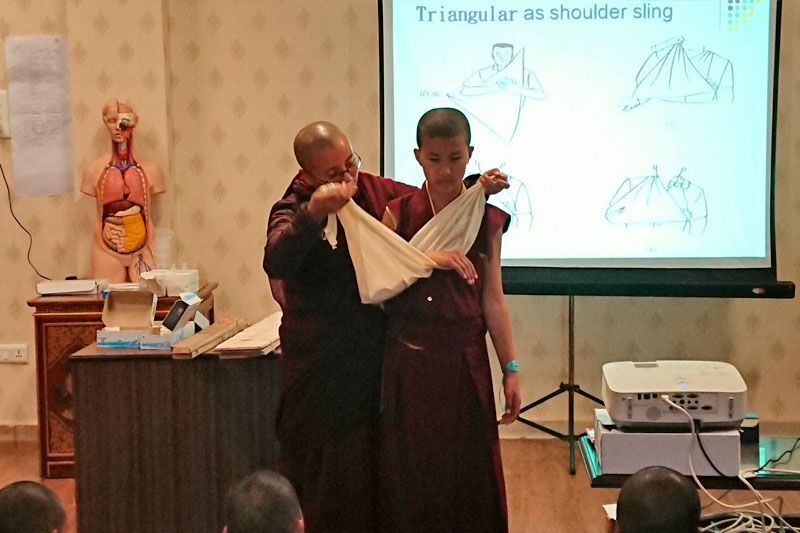 It was a sign of respect which would bring joy to the heart of any Buddhist. 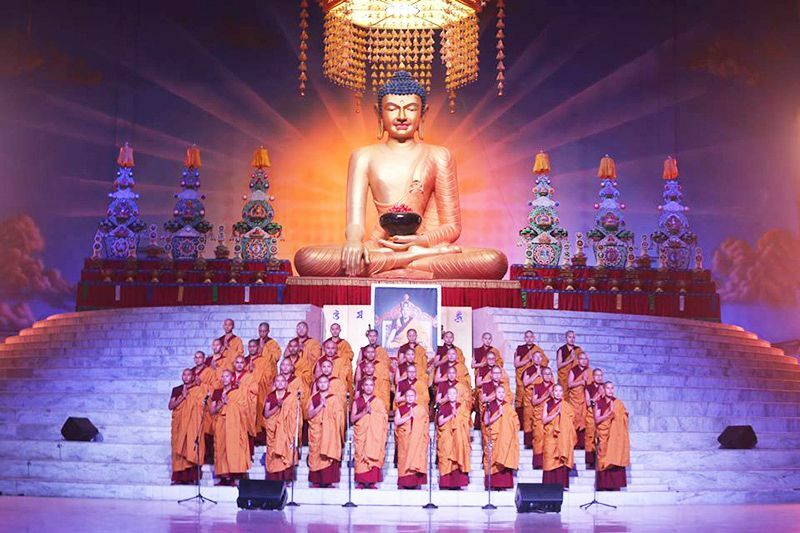 Radiant shades of red, yellow and orange robes pervaded the front of the Pavilion in vivid portrayal of the subtleties and nuanced nature of the Buddha’s teachings. Their varied appearances showed the vastness of Buddhism—encompassing all types of mind and inclination, where everyone can find a place on the path to liberation. “The King of Thailand was not only a great protector and patron of the Thai people, he was also respected all over the world and, I think, he was one of the great figures of Buddhism in general” said the Karmapa. He spoke of the four great kings in the ancient past, who helped spread the Buddha-dharma. Similarly, the King of Thailand had not only helped the prosperity of the land of Thailand and served his people but helped greatly in spreading all traditions of the dharma. 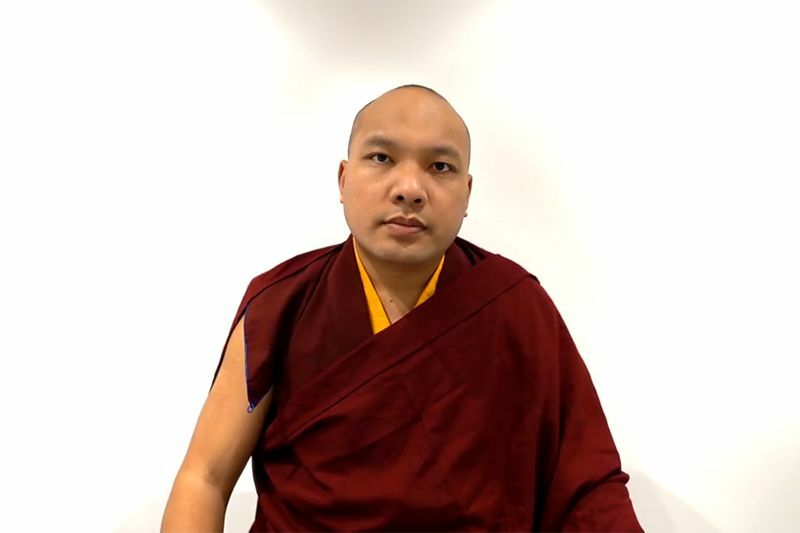 The Karmapa invited everyone to draw from this event the confidence and the courage to continue the activities that came from the power of the King’s loving-kindness, compassion and wisdom. He ended by expressing his gratitude and appreciation for this rare opportunity to invite so many Bikkhus and noted its historical significance. In the first part of the service, the Thai monks offered their prayers in Pali invoking an atmosphere of clarity and calm. When their chanting subsided, His Holiness, rinpoches and tulkus led everyone in the prayers to Akshobhya. 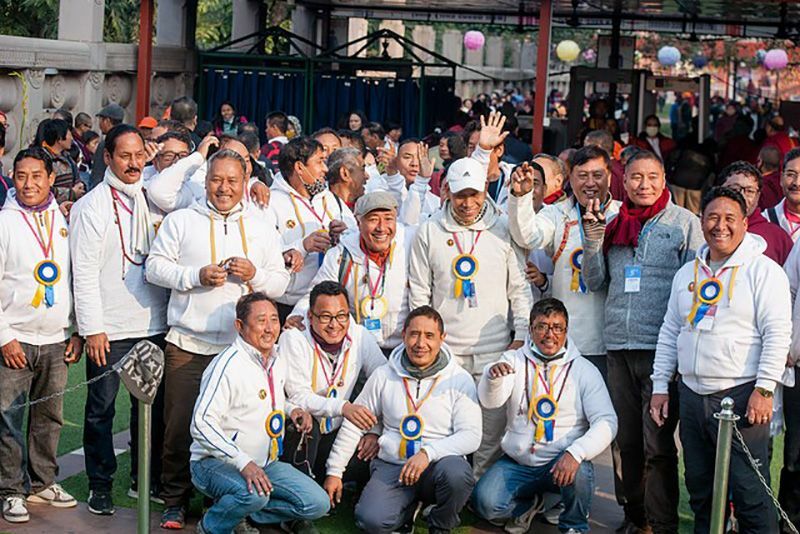 The assembly composed of thousands of people from more than 50 countries and the elders from different sanghas on the stage seemed to mirror each other’s sentiments of interconnectedness.